I’m ready for the change of seasons. I happily welcome Fall… and all its wonderful seasonal produce! Not to mention the color of the leaves… the crisp autumn air… the promise of gathering with family… even just the idea of an enticing aroma being emitted from a warm kitchen on a chilly day fills me with – for lack of better words – the spirit of the season! 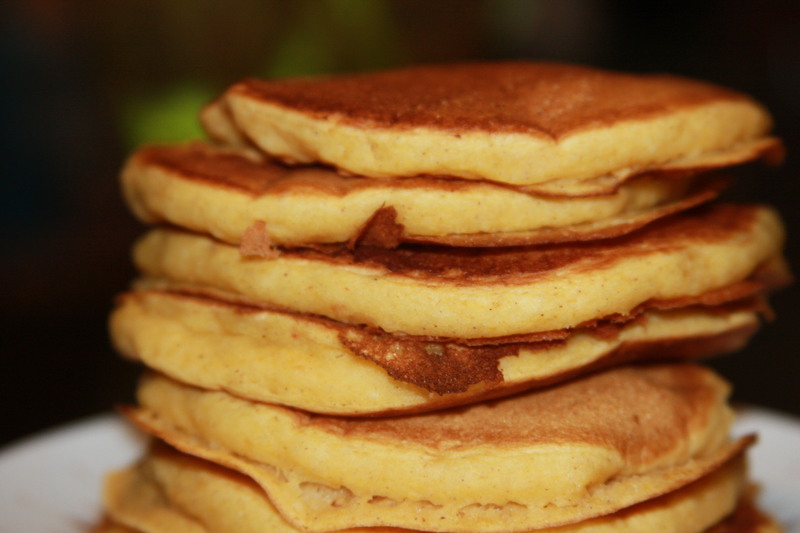 These pumpkin pancakes are so creamy they literally melt in your mouth. I like to use almond milk and top the pancakes with chopped pecans. They are best cooked silver-dollar size… and eaten immediately, of coarse! Mix dry ingredients together in large bowl. Mix wet (including pumpkin) in small bowl. Mix wet into dry. 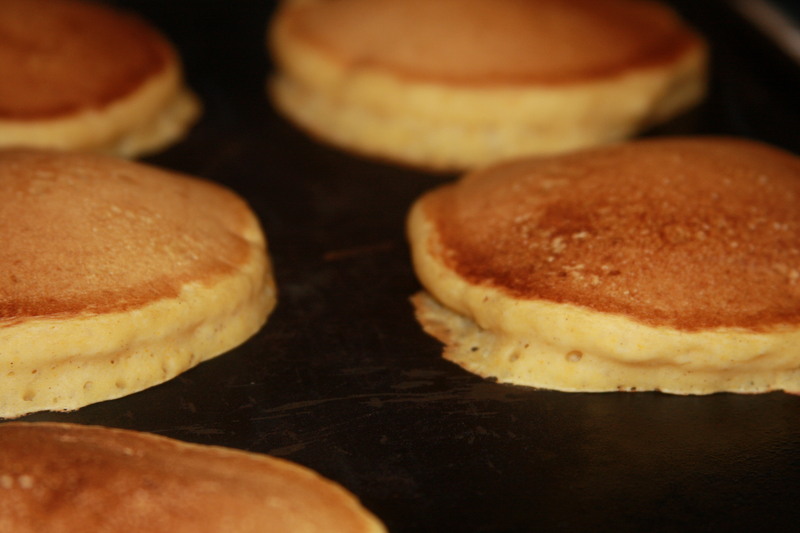 Cook silver dollar size pancakes on a hot griddle. Top with chopped pecans & maple syrup! Devour! 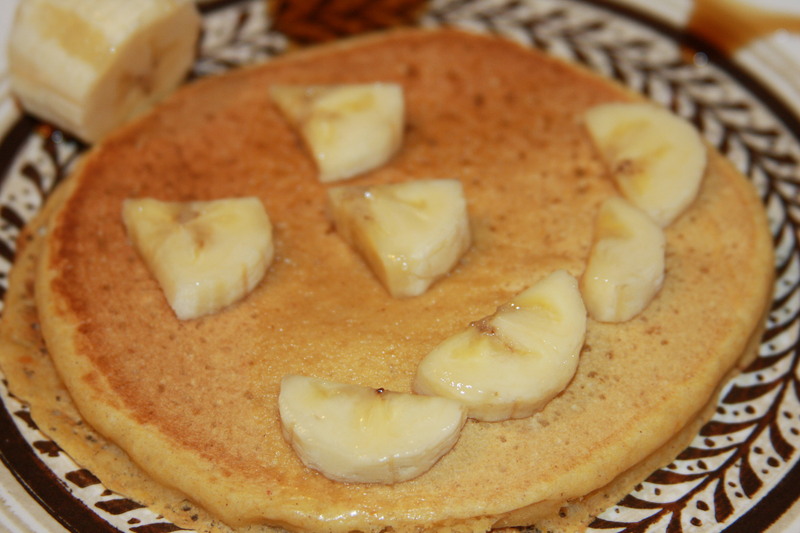 It’s easy to turn a simple pumpkin pancake into a Halloween-inspired breakfast if so desired! If you are more of a waffle person, try these delicious pumpkin waffles! This entry was posted in breakfast, fall and tagged breakfast, cooking, halloween food, healthy cooking, pancakes, pumpkin, pumpkin pancakes, Vegan, vegan pancakes, vegetarian. Bookmark the permalink.